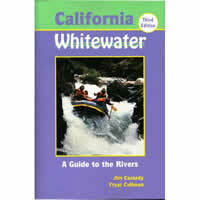 This is the bible for California whitewater rafting. Completely revised, this guide covers over fifty of the Golden State's best whitewater runs. Complete with maps, photos, mile by mile guides, shuttle information and more. This book is now out of print, and very unlikely to be reprinted in the future. Still a lot of solid information to be found here, and quite possibly a collectors item for the future !